Climate is the combination of temperature, wind, precipitation, and other weather that describes what the atmospheric and oceanic conditions are like in a given location over some reasonably long time-scale, usually at least decades in length. This is a huge concept, and understanding it fully requires looking carefully at delicate physical, chemical, and ecological balances within the system being studied. Rather than look at every aspect that is preserving this balance, scientists often will look at those factors that are changing it. These factors are said to be forcing the climate and can come from either inside or outside the earth-atmosphere-ocean system to alter the way the climate operates. 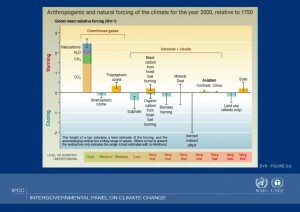 Some climate forcing is natural, such as changes in the sun’s radiation. 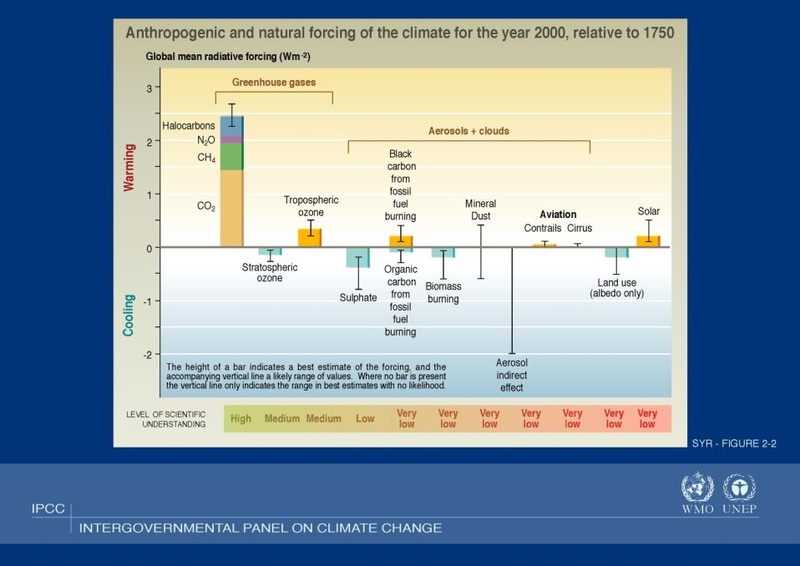 Other climate forcing is anthropogenic, caused by humans, such as the forcing exerted by greenhouse gases we have added to the atmosphere.